It’s for a restaurant in my imagination. Outside, surrounded by trees and mountains and seas. The rush of wind and fall of water. Five Courses – Water, Field, Tree, Rain and Root. 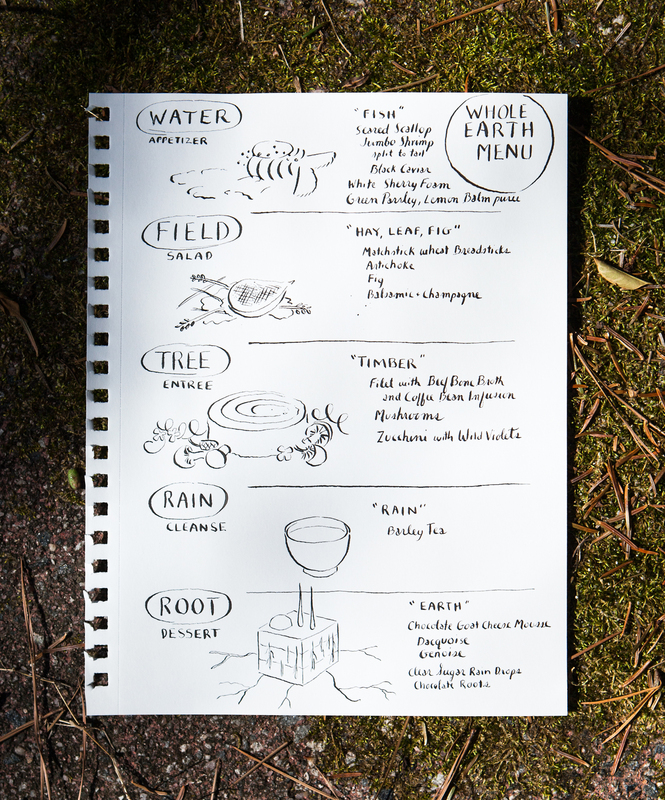 A menu for Whole Earth, a restaurant in my imagination. What limits your dreams? What stops you? What if you never quit? In addition to a dozen other professions out of my reach, such as surgeon, lawyer, scientist, glass blower, architect and machine engineer.. I would love to be a chef. Here is a menu for my non-existent restaurant, Whole Earth, with some of the courses. Don’t ever let anyone stop your imagination. You never know how far it will reach.